Most of the attention ahead of UFC 236 has surrounded the two interim title fights on the bill, and rightfully so. The matchups are interesting and gold is on the line. 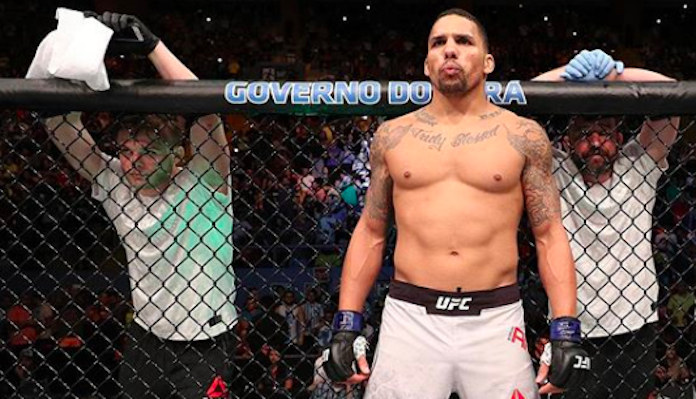 But, one fight that has been flying under the radar is a main card fight between Eryk Anders and Khalil Rountree. Anders is set to move up to light heavyweight for this fight, but he doesn’t see it as a permanent move. On top of fighting on a pay-per-view, Anders will be the fight right before the two title fights. He knows Rountree and himself will set the stage for the title fights and entertain the Atlanta crowd. Given the fact that both Anders and Rountree have serious knockout power, and both move forward, Anders expects this one to end by knockout. Ahead of the fight, Anders moved his camp to Factory X to prepare. Now, Anders gets to train with the likes of Anthony Smith, Zak Cummings, and Ian Heinisch among others. As well, Marc Montoya has been his new coach and Anders feels that he has gotten much better in such a short period of time as a result. For now, Anders is doing final preparations ahead of his main card fight. Anders knows how important it is to win on Saturday night and is confident he will leave Atlanta with a win.